1. 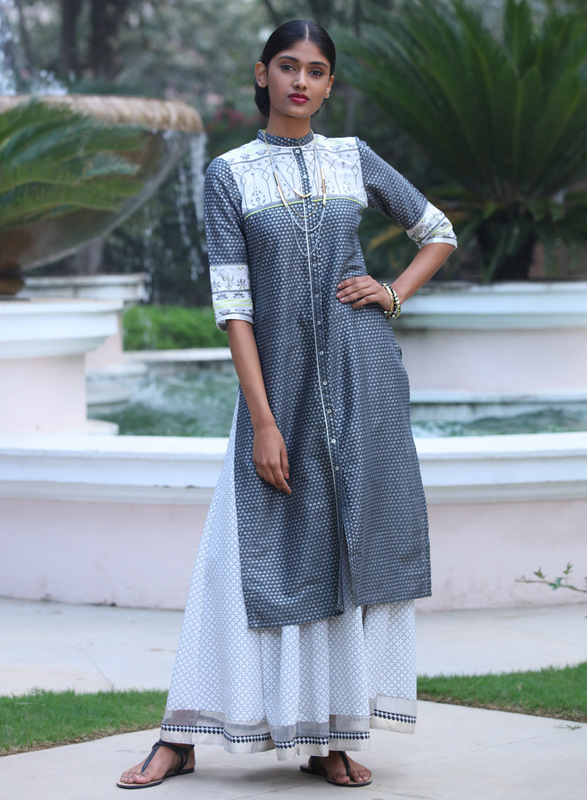 BIBA- This is one of the most popular and most preferred brand for cotton clothes, especially kurtis and plazzos. It offers you the most recent fashion at reasonable amounts. There are numerous BIBA stores across India, so hurry up and go to the one near you! 2. W - This is another very famous brand of fashion for women with outlets across India. 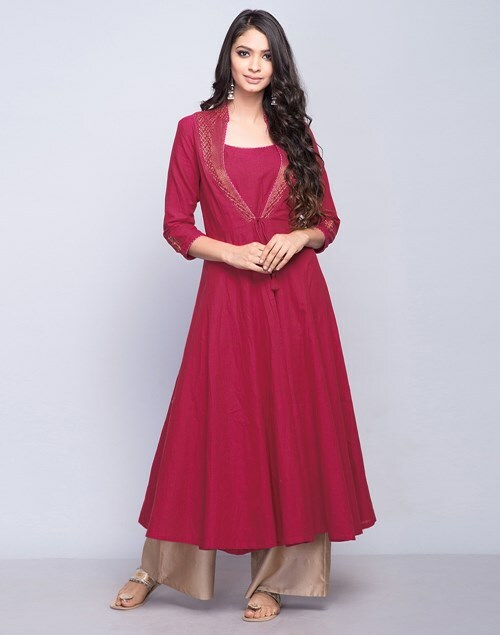 W offers you a range of beautiful kurtis, suits and dresses. Its products are slightly more expensive, but you can always go and shop during the sale season, if you want to get your hands on some really cool stuff. 3. 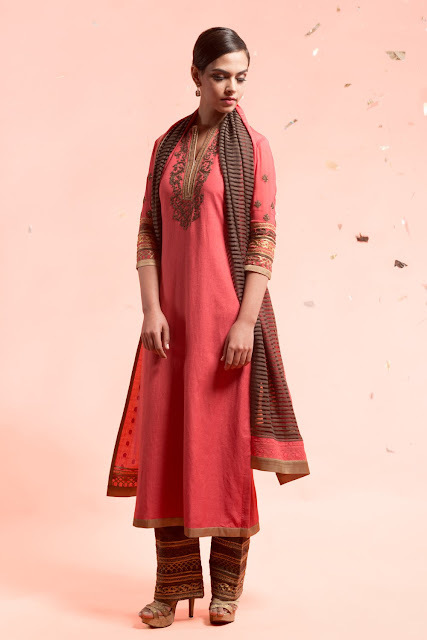 Fab India- Here you will get truly fabulous kurtis with salwars and churidars. You can also shop for sarees and some really funky accessories to pair with your kurtis etc. Fab India offers clothes at reasonable prices with superb quality. A must visit if you are looking for some pure cotton stuff. 4. Global desi- The collection of clothes in this store will make you go crazy. It has some really beautiful and colorful kurtis available in all sizes. 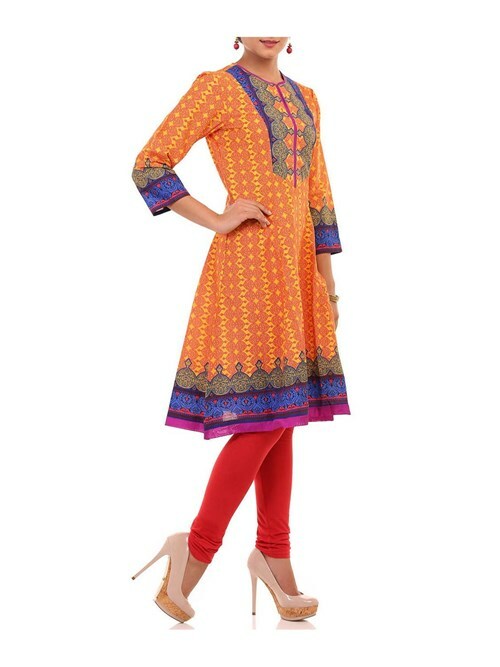 It also has lot of plazzos to choose from, for pairing with your kurtis. Must visit if you still haven’t. 5. Satya Paul- This is the place for very highly priced but beautiful kurtis, available in cotton and linen. You can also find some really awesome sarees on Satya Paul stores.